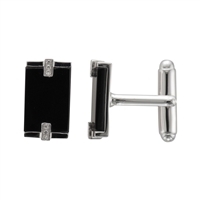 Sterling 925 Silver Rectangular black onyx and diamond cufflinks. Toggle fitting. Made in England by Samuel Jones. 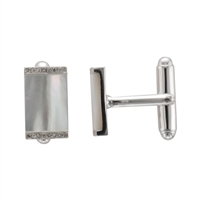 Sterling 925 Silver Rectangular MOP and diamond cufflinks. Toggle fitting. Made in England by Samuel Jones. 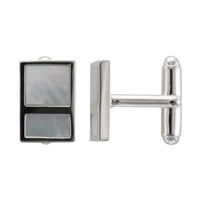 Sterling 925 Silver Rectangular Mother of Pearl cufflinks. Toggle fitting. Made in England by Samuel Jones. 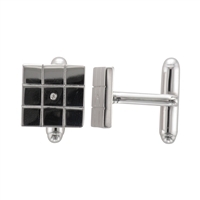 Sterling 925 Silver diamond set square cufflinks. Toggle fitting. Made in England by Samuel Jones. 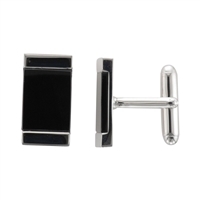 Sterling 925 Silver black onyx rectangular cufflinks. Toggle fitting. Made in England by Samuel Jones. 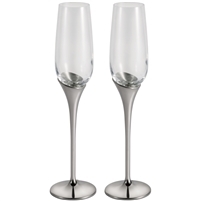 Pair of tall polishes pewter and glass Champagne flute glasses by Royal Selangor. Gift boxed. 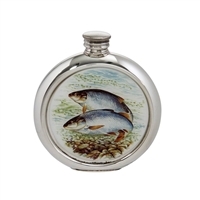 Fine English Pewter 6 floz Picture Hip Flask with Roach Fish. 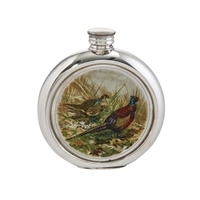 Screw Lid, Traditional Round Shaped Approximately 175ml Capacity. Personalisation Available, Gift Boxed. 100% Lead Free with free engraving. 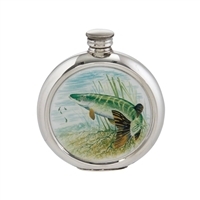 Fine English Pewter 6 floz Picture Hip Flask with Pike Fish. Screw Lid, Traditional Round Shaped Approximately 175ml Capacity. Personalisation Available, Gift Boxed. 100% Lead Free with free engraving. 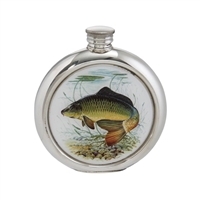 Fine English Pewter 6 floz Picture Hip Flask with Carp Fish. Screw Lid, Traditional Round Shaped Approximately 175ml Capacity. Personalisation Available, Gift Boxed. 100% Lead Free with free engraving. 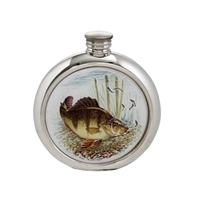 Fine English Pewter 6 floz Picture Hip Flask with Perch Fish. Screw Lid, Traditional Round Shaped Approximately 175ml Capacity. Personalisation Available, Gift Boxed. 100% Lead Free with free engraving. 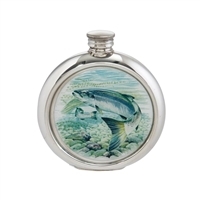 Fine English Pewter 6 floz Picture Hip Flask with Salmon Fish. Screw Lid, Traditional Round Shaped Approximately 175ml Capacity. Personalisation Available, Gift Boxed. 100% Lead Free with free engraving. 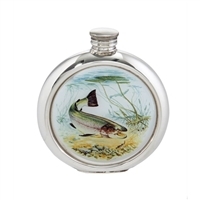 Fine English Pewter 6 floz Picture Hip Flask with Trout Fish. Screw Lid, Traditional Round Shaped Approximately 175ml Capacity. Personalisation Available, Gift Boxed. 100% Lead Free with free engraving. 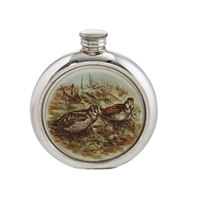 Fine English Pewter 6 floz Picture Hip Flask with Pheasant. Screw Lid, Traditional Round Shaped Approximately 175ml Capacity. Personalisation Available, Gift Boxed. 100% Lead Free with free engraving. 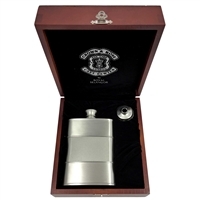 Fine English Pewter 6 floz Picture Hip Flask with Woodcock. Screw Lid, Traditional Round Shaped Approximately 175ml Capacity. Personalisation Available, Gift Boxed. 100% Lead Free with free engraving. 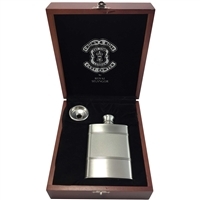 Fine English Pewter 6 floz Picture Hip Flask with Partridge. Screw Lid, Traditional Round Shaped Approximately 175ml Capacity. Personalisation Available, Gift Boxed. 100% Lead Free with free engraving. 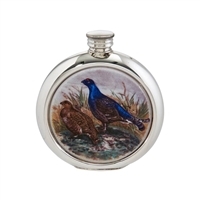 Fine English Pewter 6 floz Picture Hip Flask with Grouse. Screw Lid, Traditional Round Shaped Approximately 175ml Capacity. Personalisation Available, Gift Boxed. 100% Lead Free with free engraving. 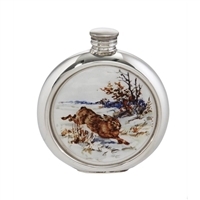 Fine English Pewter 6 floz Picture Hip Flask with Hare. Screw Lid, Traditional Round Shaped Approximately 175ml Capacity. Personalisation Available, Gift Boxed. 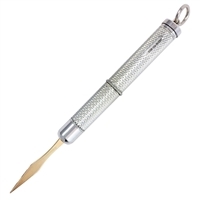 100% Lead Free with free engraving. 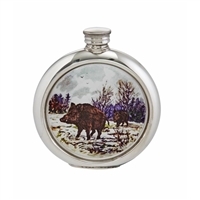 Fine English Pewter 6 floz Picture Hip Flask with wild boar. 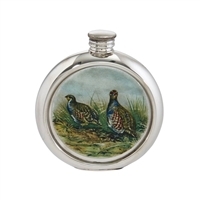 Screw Lid, Traditional Round Shaped Approximately 175ml Capacity. Personalisation Available, Gift Boxed. 100% Lead Free with free engraving. 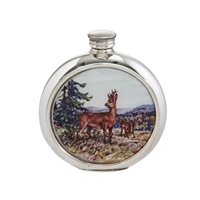 Fine English Pewter 6 floz Picture Hip Flask with Roe Deer. Screw Lid, Traditional Round Shaped Approximately 175ml Capacity. Personalisation Available, Gift Boxed. 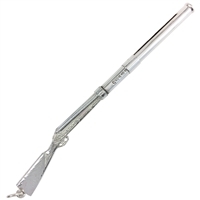 100% Lead Free with free engraving.